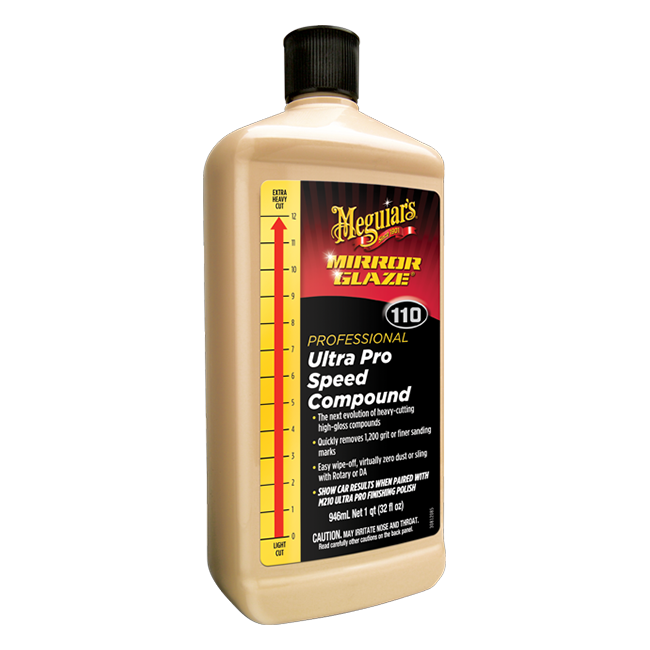 Meguiar's M110 Ultra Pro Speed Compound - 32 oz. Meguiar's Foam Cut Compound #101, M101 - 32 oz. The Last Cut Compounding Glaze - 32 oz. Meguiar's Ultra Pro Finishing Polish #210, M210 - 32 oz. Meguiar's Ultra Pro Finishing Polish #210, M210 - 1 gal. Meguiar's M110 Ultra Pro Speed Compound - 1 gal.